Today many people are celebrating Halloween with their family, friends, and co-workers. Children and adults across the world will be dressed in fancy costumes. Carved pumpkins are on doorsteps. Frightening stories of ghost and goblins are told around bonfires. Others may venture out to various haunted house attractions. As a child, I was most frightened by the horror films. My siblings and I would go to the movies or either rent scary movies. I still remember some of those movies such as Halloween (Michael Myers), Child’s Play (Chucky), A Nightmare on Elm Street (Freddy Krueger), Friday the 13th (Jason), and The Texas Chainsaw Massacre (Leatherface). These movies would give me nightmares as a child but I still would watch. Now as an adult, I’m not much of a horror film watcher. 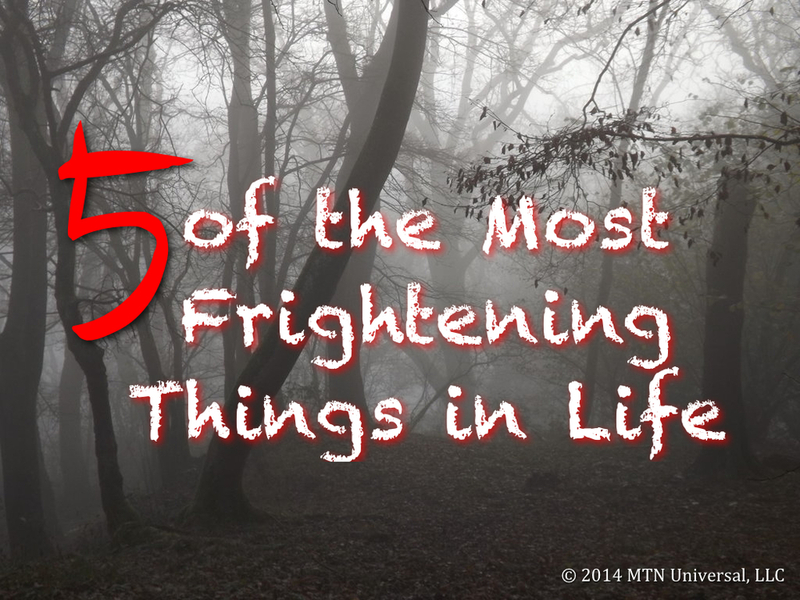 But I have discovered 5 of the Most Frightening Things In Life. These things are more frightening than any of those horror movies I once watched. There is nothing worse than a bad attitude. Attitude is everything. A bad attitude will kill any chances of success. It’s infectious and will spread like wild fire. It has destroyed all sorts of people and relationships of any kind. Families, leaders, businesses, churches, etc. have all fell victims to this frightening reality. It is great to better yourself, but life’s not all about the first thing we see in the mirror in the morning. In other words, life isn’t about you. Life isn’t about me. Life is actually about helping others. A selfish life is a lonely life. I find it to be a scary thing for someone to give advice but the same person unable to take the same advice for his or herself. Envy occurs when we lack a desired gift or skill possessed by someone else. Don’t waste you time trying to be like other people. You will never know what was sacrificed to get them where they are or what they have. As a child I remember having nightmares of the horror movies my siblings and I would watch, but now the most frightening things in life are all within our control. Instead of living an unproductive life; stop and remove these things one at a time as quickly as you can to avoid a life of nightmares. Life doesn’t have to be a nightmare if you remove the frightening things from your life.